Yesterday, Lyrical Lemonade dropped a stunning lineup for this year’s Summer Smash festival, happening June 29th. 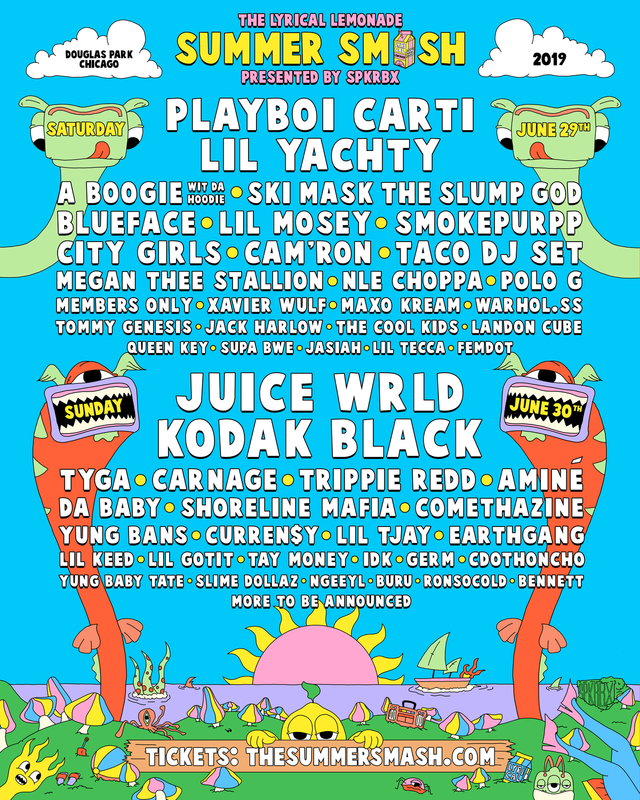 The Chicago festival dropped their lineup on the Instagram page, featuring Playboi Carti, Lil Yachty, Juice WRLD, City Girls, Megan Thee Stallion and many more. The 2019 Lyrical Lemonade Summer Smash will be held in Chicago on June 29th. You can purchase tickets for the festival here.